Brackenridge Hospital staff transferred patients to the new Dell Seton Medical Center. This weekend, Brackenridge Hospital closed its doors after more than 130 years in Austin. Before that, though, they spent Sunday shuttling the hospital’s remaining patients to the brand new Dell Seton Medical Center at the University of Texas, which is located just across the street. Angel Torres Carmona, a nurse, was among the 1,500 hospital staff members helping move the 100-plus patients. 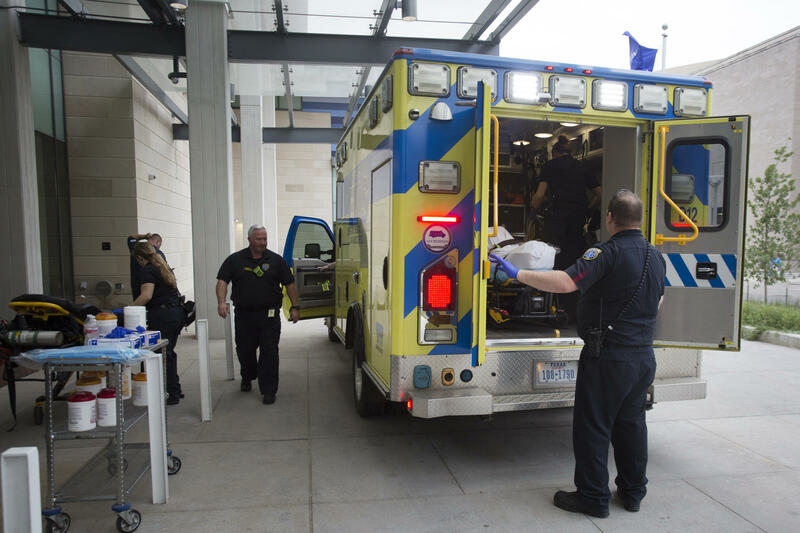 Captain Joshua Todd reloads a stretcher into an ambulance as patients are transferred from Brackenridge Hospital to the new Dell Seton Medical Center. And of course it’s not just the patients moving to new digs. The entire medical and administrative staff is also moving to the new teaching hospital. Lillian Mabee was among the patients moved on Sunday. She told reporters she was excited to be part of the big day. Mabee, who is homeless, had come into the hospital to treat an infection. She says clinic staff at the Austin Resource Center for the Homeless directed her to Brackenridge. “They are the ones who caught my high temperature and they are the ones that suggested a hospital and that’s when they suggested Brackenridge,” she said. Brackenridge had been treating the city’s indigent population for more than a century. Seton officials say the new teaching hospital will carry on that mission, while also providing a testing ground for new ways to provide care to patients in the area. 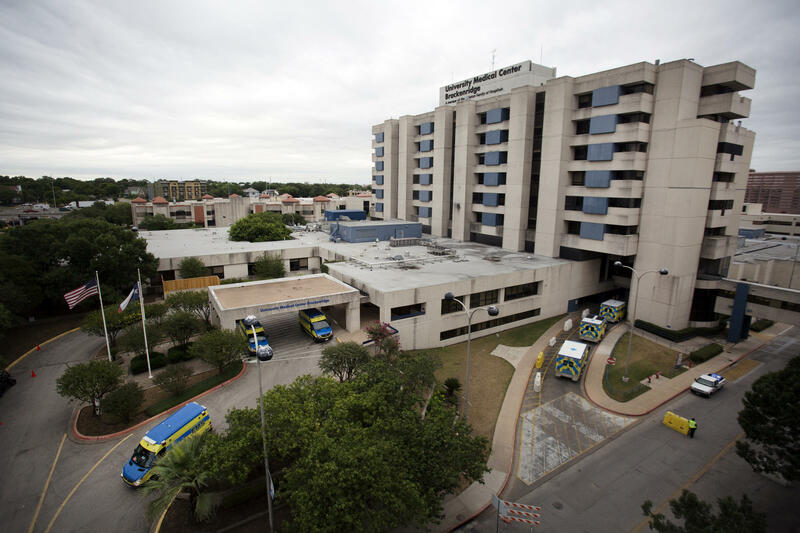 Next month, Austin’s Brackenridge Hospital will close its doors for good. Patients will be transferred to the new Dell Seton Medical Center just across East 15th Street. That means the spacious, and centrally located, Brackenridge campus will be open for new development. 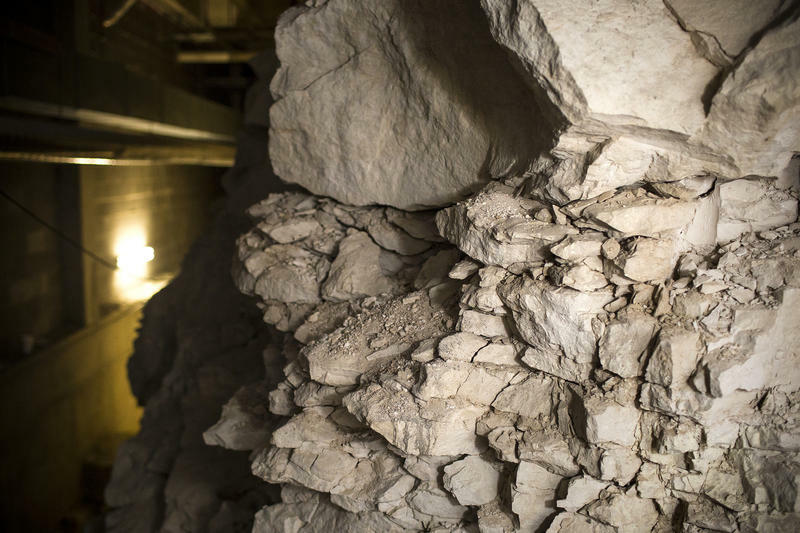 But the incoming tenant will have to contend with a unique feature of the property, something buried beneath the surface of the old hospital.